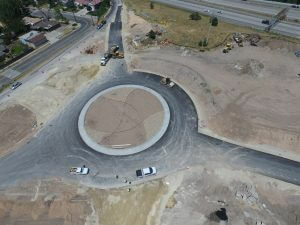 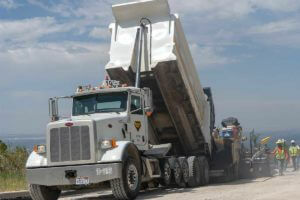 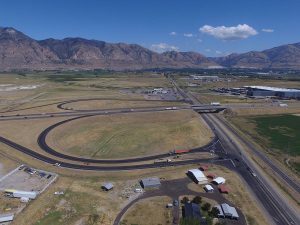 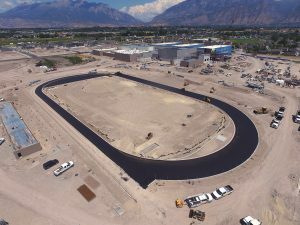 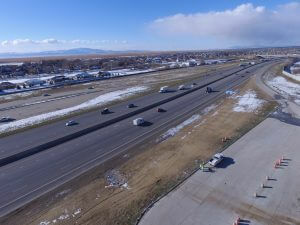 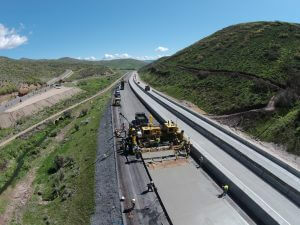 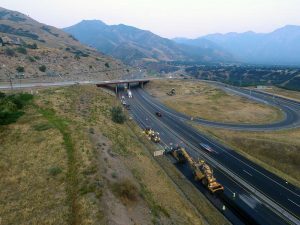 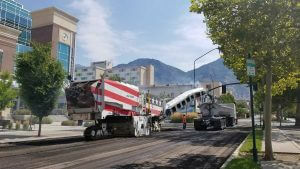 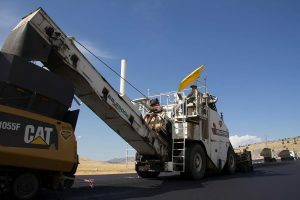 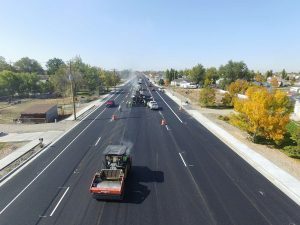 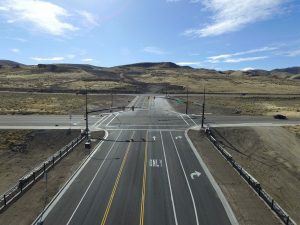 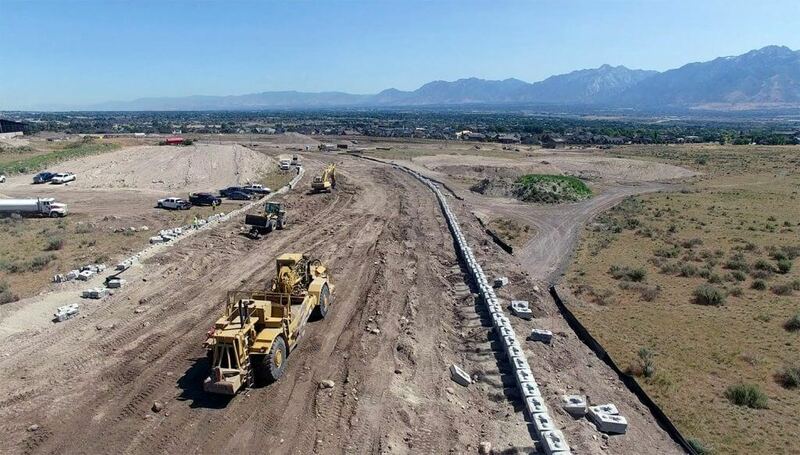 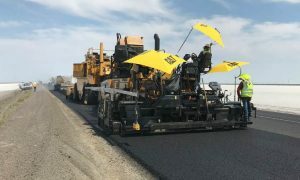 The Academy Parkway at Mountain View Corridor in Herriman City hired Geneva Rock to develop and install the new Academy Parkway that will link up Mountain View Corridor to the new Real Salt Lake Soccer Practice Complex. 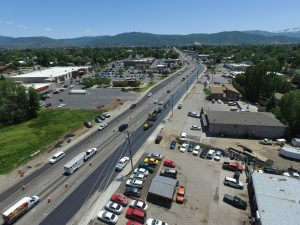 This project requires positive connection MSE wall with geo-grid 17 feet tall. 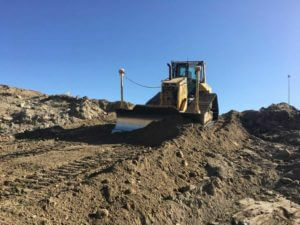 65,000 cubic yards of cut and fills, new 24″ ductile iron pipe connecting the newly construction pump house to the new construction concrete water tank. 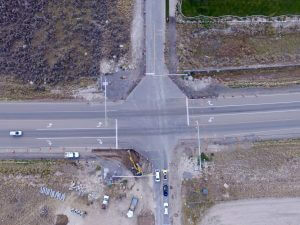 The last step to this project was adding a new signalized intersection.